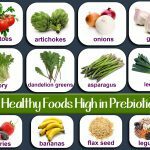 Non-GMO Project Shopping Guide – Free – The list of Non-GMO Project brands and products in this guide is searchable by product type, brand name, product name, and key word. It addition, you can use it to find Supporting Retailers in your area who can help you with your non-GMO shopping. The guide also includes tips for avoiding GMOs, including a list of GMO crops and common ingredients at risk for GMO contamination. More on the history and mission of the Non-GMO Project is included as well. Use this guide any time you shop. Most likely you’ll find it the ultimate resource in helping you avoid GMOs! This App is Available for both iphone and iPod Touch. Healthy Food, Allergens, GMOs & Nutrition Scanner – Cost: $4.99. This version of NxtNutrio helps unsuspecting shoppers spot the numerous chemicals, additives, preservatives, artificial sweeteners, and flavor enhancers such as MSG, autolyzed yeast extract etc. hidden in many brand name foods. It gives specific information about each ingredient listed on the package, explains exactly what the ingredients are and how they can affect one’s health. With NxtNutrio you don’t need to learn the fine art of label reading, NxtNutrio does it for you. It’s easy format gives you the power to make quick decisions when purchasing food. By knowing what’s in the foods you buy and eat, you’ll understand what many of these ingredients can do; you’ll be armed and ready to make better choices. With NxtNutrio YOU’LL be in control (not the manufacturers) of your nutrition, your health, and your waistline. Buycott – Free – Buycott helps you organize your everyday consumer spending to support causes you care about. As seen on NBC, FOX, CNBC, MSNBC, and covered by Forbes, Huffington Post, and many others. Featured as ABC News & Salon.com app of the week. HOW IT WORKS – Join a campaign to help a cause you care about and commit to actively supporting the companies on your side of the issue, while avoiding those that oppose your position. Scan product barcodes and Buycott will find out what company owns that product (and who owns that company, ad infinitum). Using this information, Buycott will determine whether you have joined a campaign that includes the product’s owners. FEATURES – Lookup the ownership structure of any product and trace it all the way back to its parent company with our interactive family tree diagram. Offers a variety of contact data for companies and brands, so you can easily inform them of your decision to support or avoid their products. Scans all major retail barcodes (UPC-A, UPC-E, EAN8, EAN13, etc). Create your own campaign from buycott.com. True Food – Free – “Four Simple Tips” section gives you easy ways to avoid genetically modified ingredients in any product. – “What’s New” brings you an always-updated feed of the Center for Food Safety’s latest news and campaign developments on GMOs and other important food issues. You can even share these articles and announcement with your friends on Facebook, Twitter, Digg and more, right from the app! – Our “Action” center brings you our latest action alerts on simple things you can do to demand True Food! – “Supermarkets and GMOs” lists major supermarket chains across the US and their policies on GMOs and rbGH use. Here you can find non-gmo and rbGH-free store brands, and supermarkets that are entirely non-gmo in their private-label brands! – You can browse the Shoppers Guide by category (16 categories in all) in a simple “Green” and “Red” list format, or search for products by brand name or food type. – The Shoppers Guide also includes the ability to call or email companies listed in the “Red” (those who do not avoid GM ingredients in their products) to let them know you will not buy their products until they drop GMOs. 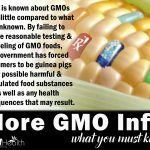 – Learn about the risks of gm crops and foods, the benefits of and where to buy organics, gm crops in development, rbGH, and more in “More Info”. While the app contains a lot of brand information, we could not possibly include every brand in the country. If there is a certain brand you see at the supermarket, or purchase often, that is not included in the Guide, just send us an email from the app and we’ll include it in our next update! Please note that the Guide only includes a few organic brands as Certified Organic products are not allowed to be produced from GMO crops. ShopNoGMO – Free – The ShopNoGMO app is designed to help consumers avoid products with GMO (Genetically Modified Organisms) when shopping or dining out. 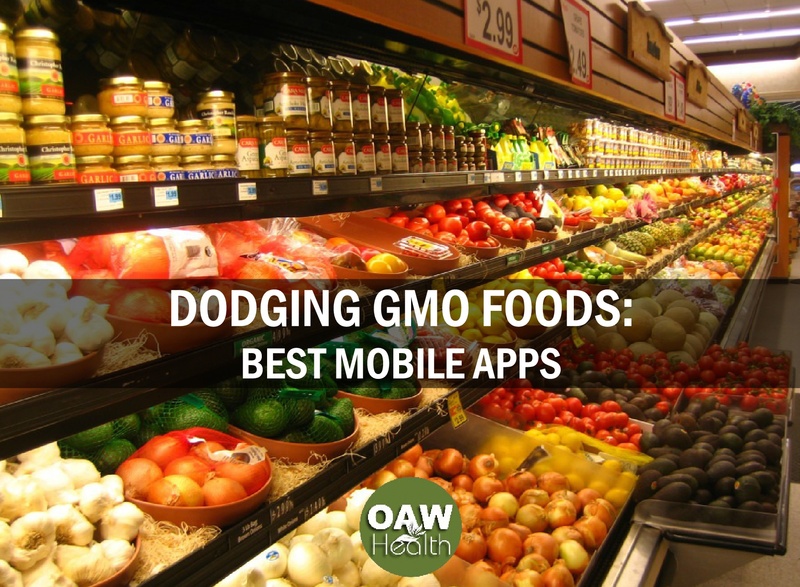 The ShopNoGMO app provides information about the science behind genetic engineering, the health risks of GMOs and hundreds of non-GMO brand names in 23 food categories. ShopNoGMO is available for the iPhone and iPod Touch. FEATURES: 4 Simple Tips for Avoiding GMOs gives you everything you need to know to make healthier non-GMO choices while shopping at the supermarket or natural foods store. Browse the Guide makes it easy to locate the brands you want in 23 food categories. Favorites List saves you time by allowing you to create your personal list of brand favorites. You can easily add or remove items from this list, which is saved automatically and ready to use every time you shop. About GMOs answers frequently asked questions on this important topic. About Us introduces you to the Institute for Responsible Technology, a nonprofit organization working to educate the public about the risks of GMOs, and the Shopping Guide’s co-sponsor, along with the Center for Food Safety. Dine Out Non-GMO provides step-by-step instructions to help you avoid GMOs at restaurants. Hidden Ingredients identifies more than 100 ingredients, like dextrose and lecithin, which may be derived from genetically modified soy, corn or other GMOs. How can I help? Tips, resources and strategies to help you educate family, friends, and community members on this important topic. What is organic? This feature explains the USDA certified organic labeling and how it excludes GMO ingredients. Chemical Maze – Available at Apple App Store or Google Play. 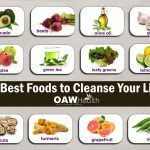 What’s in your Food? What’s in your Cosmetics? Are you at risk? This is your ultimate shopping guide to get you through the Chemical Maze. Over 10 years of research and not just information pulled from public websites. Easily browse through either Food Additives or Cosmetic Ingredients. Search for Additives/Ingredients by name. Search for Food Additives by INS number – Example 621 or E621 – MSG. ☺☹ User friendly rating codes for each Additive/Ingredient. Search results for Food Additives and Cosmetic Ingredients the way you want them: Identify the Risk Levels of each. Discover those to avoid based on Dietary Restrictions. Identify those that may cause various Symptoms or Ailments. Discover which ones Effect different parts of your Body or Systems. Find out what they are Derived from. This is the free addition of the app. Rhere is also a paid edition with added features. Barcode and PLU Label Reader– Cost: $.99. This app is a Barcode and PLU reader, but codes must be entered manually. Learn the country of origin of your food and if the food you are buying is GMO, organic or conventionally grown. Using the barcodes and the PLU label codes this app will quickly show you the information about the product. Use it when you go shopping to make sure you are getting the best quality products! Fruit Checker – Cost: .99. Check the codes on fruit and vegetables to make sure you are getting what you pay for. These codes can tell you if the item is organic, conventionally grown, exactly what variety it is, and even – sometimes – where it was grown, and if it is genetically modified. Features: Look up a piece of produce by its PLU (Price Look-Up) code, usually found on the item’s sticker. Find out if the item is certified organic, conventionally grown, or genetically modified. See the exact variety of the fruit or vegetable. For some items, see where the item was grown. Confirm that you were charged for the correct item. No ads. HarvestMark – Free – HarvestMark is the fresh food traceability and insights platform from YottaMark, Inc. HarvestMark provides transparency and connection from the first to the last mile of the supply chain, enabling food producers and retailers to meet food safety requirements, build shopper loyalty, and optimize freshness and quality. Over 400 leading brands and retailers have adopted the HarvestMark platform, including The Kroger Company, Driscoll’s Berries and Coleman Natural. This app allows shoppers to scan a product or type in a label to pull up a full profile of the farm it came from, how it was grown, and whether or not the farm has had any foodborne illness issues. The app has already helped limit foodborne illness outbreaks — during one recall, 15 percent of consumers who used HarvestMark discovered their leafy greens had been flagged for health risks. Important note directly from HarvestMark: The HarvestMark application displays only the information that the growers and farmers provide. If they do not provide GMO information, our application will not display it. Fooducate – Free – $4.99 – Fooducate has remained hot since it launched in January 2011, recognized by both Apple and the U.S. Surgeon General as the best health app our there. Its free version includes advertising, the $3.99 app does not, and a $4.99 app is available for people who want to be warned of specific allergies. It’s pretty simple too. If you have the Fooducate app on your phone or website, as of October 2012, you just have to turn on the GMO option in your profile. Just turn where is says: “Warn me about GMOs” to on. From then on, each food item scanned will return GMO information that Fooducate has on the product. It will produce an all clear sign for products without GMOs. Based on an analysis of ingredients, Fooducate will say whether there is a medium or high probability of GMOs. “The facts about GMOs.” Grocery Manufacturers Association. gmaonline.org. 23 Sep. 2013. Smith J. “Survey reports improved health after avoiding genetically modified foods.” Institute for Responsible Technology. International Journal of Human Nutrition and Functional Medicine. 2017.